The Rebel Sweetheart. : Join | Herbal Destination Giveaway! Here's a great chance to win your choice of $30 in products from Herbal Destination, hosted by Why We Love Green! 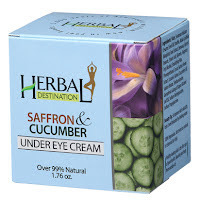 Herbal Destination has a great array of supplements and skincare products to help you feel your best. Their products are all-natural and follow ancient time-tested Ayurvedic principles of health and wellness. Enter now using the Rafflecopter form below! *Posted in behalf of Why We Love Green.